Share your child's finished work of art with us by using #littlepim on Instagram or Twitter and we'll send you a FREE Little Pim Panda Plush. Click here to download your free coloring page. Say "hello" to Spring in 5 different languages! Welcome the first day of Spring by teaching your little ones a new language. It's the last day to save 40% with code LUCKY at www.LittlePim.com. What a great day to celebrate Spring by having your kids color in Little Pim’s Springtime coloring page. Print out this coloring page today and teach your kids how to say each color in a different language! Share your finished page with #littlepim on Facebook, Twitter, or Instagram. Enjoy your colorful day! Take a moment with Little Pim and learn how to express your love in French! Your little ones will love coloring in their pal, Little Pim feasting at the Thanksgiving table while you're busy cooking and entertaining. Print out this coloring page today and teach your kids how to say new words to celebrate Thanksgiving to incorporate language learning into your day. When you’re done, you’ll have a finished picture to hang on your fridge! 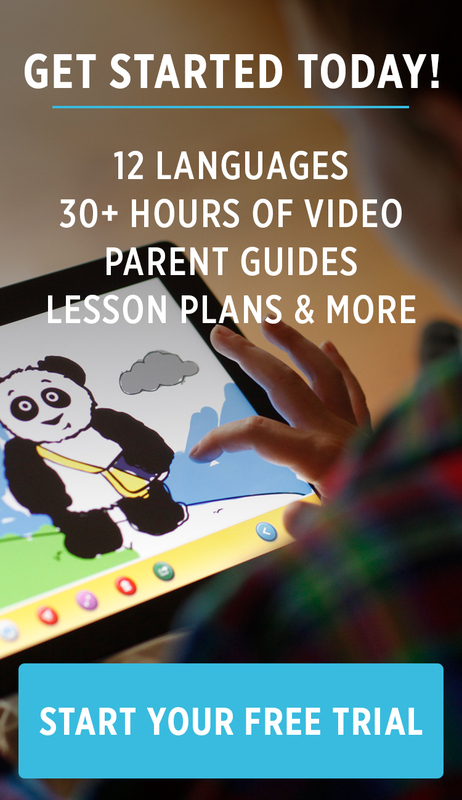 Share your kids’ page with #littlepim on Facebook, Twitter, or Instagram. Enjoy your turkey day! For more fun activities for kids on Thanksgiving, visit our post from last week. Add some color on a gloomy day by printing out this Rainy Day Little Pim coloring sheet. July 29th is Rain Day according to the DaysoftheYear.com calendar and throughout history, people of many cultures across the world have celebrated rain and it's "life-giving power." Teach your little ones about the power of rain and how it is necessary for survival. If it's raining where you are, head outside with the kids to walk in the rain and to jump in some puddles! When you get back inside, serve some fresh fruits and vegetables that need rain to grow. Review your color and food vocabulary as you point out each fruit and vegetable in the second language. After a healthy snack, get their creative juices flowing by printing out Little Pim's Rainy Day Coloring Sheet! Share your rainy day fun with us by using #LittlePim on Instagram or Twitter! 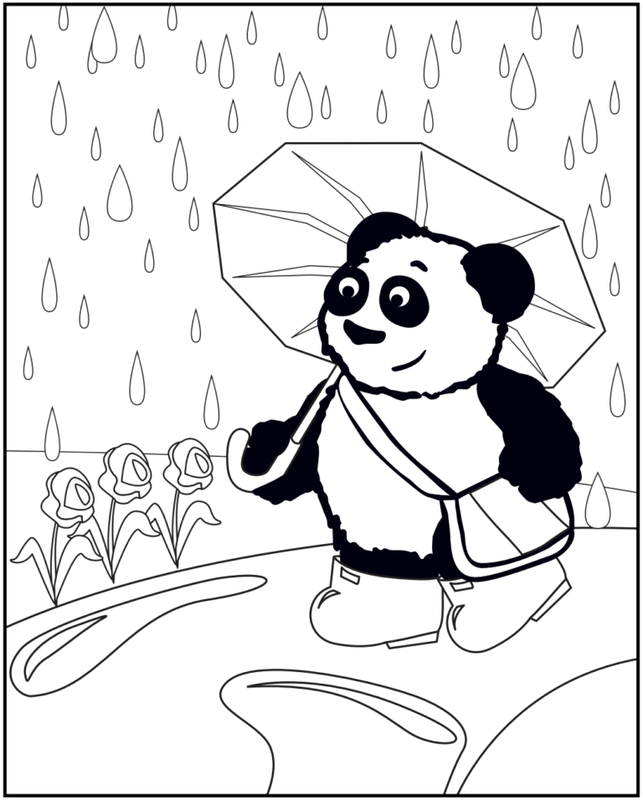 Click here to print out the rainy day coloring sheet. Color Your July 4th with Fun! 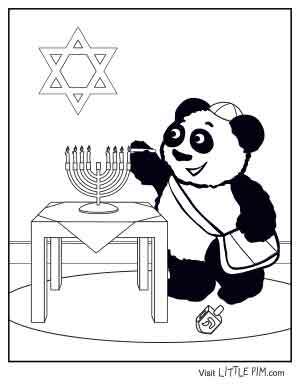 Here at Little Pim, another holiday means another coloring sheet! In preparation for your July 4th road trips and traffic jams, print out a bunch of these festive sheets to keep the kiddos occupied. And if you need some additional reinforcements, take advantage of our pre-July 4th sale and get 30% off your order with code USA. Voilà! Click on here to print your free coloring page!